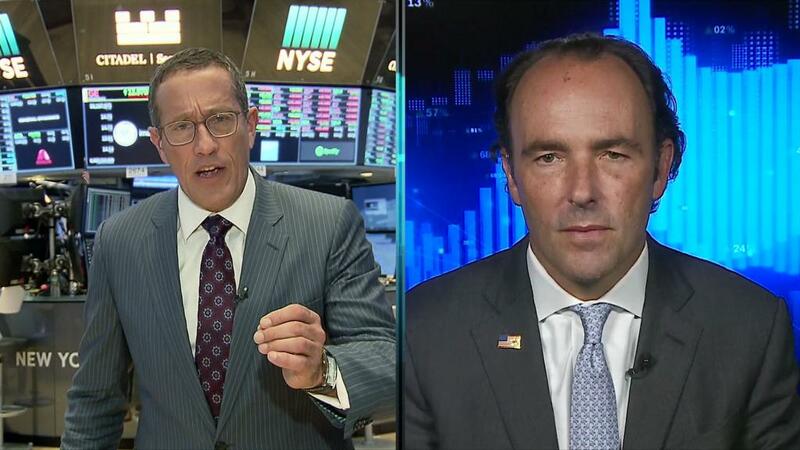 Kyle Bass, the founder and chief investment officer of Hayman Capital Management, believes that "there's been a trade war with China since 2001." "The only side that's been fighting it, though, is China," he added. While business leaders have warned that President Trump's tariffs could end up hurting US companies, Bass criticized what he described as a historically "pacifist" attitude towards trade with China. "The US strategy has been unilateral disarmament, while China has basically taken over the trade relationship with the US," Bass told Richard Quest on CNNMoney's "Markets Now" on Wednesday. Bass, who is known for anticipating the subprime mortgage crisis in 2007, said he doesn't expect much from Treasury Secretary Steven Mnuchin's planned visit to China. President Donald Trump said Tuesday that the delegation will also include US Trade Representative Robert Lighthizer. "My own view is we're not going to see him get anywhere," he said. Before he started the investment management company, Bass was a managing director at asset manager Legg Mason and a senior managing director at Bear Stearns. "Markets Now" streams live from the New York Stock Exchange every Wednesday at 12:45 p.m. ET. The fifteen-minute long show is hosted by CNNMoney editor-at-large Richard Quest and CNNMoney anchor Maggie Lake. It features sharp commentary on the biggest topics of the day. Austan Goolsbee, former chief economic adviser to President Barack Obama, told Quest last week that economic growth is "okay, but not as good as the optimists believe." In a previous episode legendary investor Jim Chanos told Lake that Tesla (TSLA) investors are "paying money to lose money." He added, "I think the company is ultimately going to become a troubled company." You can watch the show at your desk or on your phone or tablet at CNNMoney.com/MarketsNow. Can't watch at 12:45 p.m. ET? Interview highlights will be available online and through the Markets Now newsletter, delivered to your inbox every afternoon.